As if there weren’t enough non-interoperable smart home hubs already, a new platform called Peq is entering the fray. According to Zatz Not Funny, Peq (pronounced “peek”) is reportedly Best Buy’s answer to Lowe’s Iris, Staples Connect and Home Depot’s Wink. (Yes, in order to have the home of the future today, you’ll have to pledge allegiance not just to a single platform, but to a single retailer.) Although Peq hasn’t yet made any official announcements, its website and YouTube page are already online. The service has a fairly low starting cost of $120, which gets you a door and window sensor and a hub to communicate with each appliance. 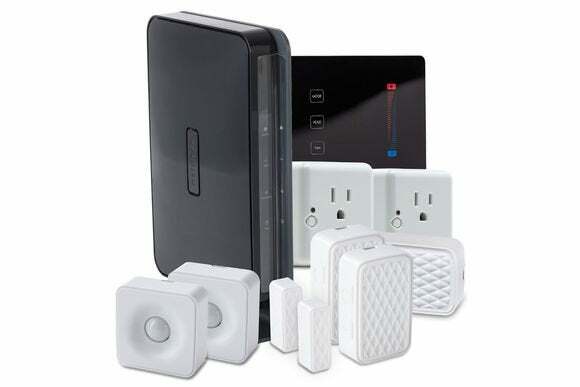 The most expensive bundle costs $490 and includes the hub, two door and window sensors, two lamp modules, two motion sensors, a water sensor and a smart thermostat. You can also tack on components individually. But Peq also requires a $10 per month subscription service, which none of its competitors require. Peq’s website says the service covers remote home monitoring and control, alerts by email or text message, regular firmware updates for Peq devices, seven-day customer support, and live camera streaming and recording. 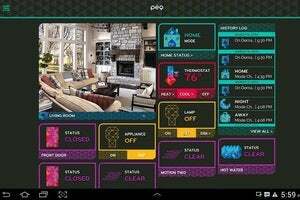 Though the service looks slick, it’s hard to see how it’ll stand out from the many other home automation solutions on the market already. And with so many competing platforms, most people will want to see how things shake out before investing in hundreds of dollars worth of gear.